The Revolution Design Racing Products B6 Aluminum Front Bulkhead was designed to replace the standard part with a more sturdy and durable item. The bulkhead comes machined from aircraft-grade 7075-T6 aluminum and its directional design allows to run 25 degree or 30 degree kick-up angle while the anodized surface and silver edge details add visual impact. The aluminum part adds rigidity and precision ideal for racing on high-bite surfaces. 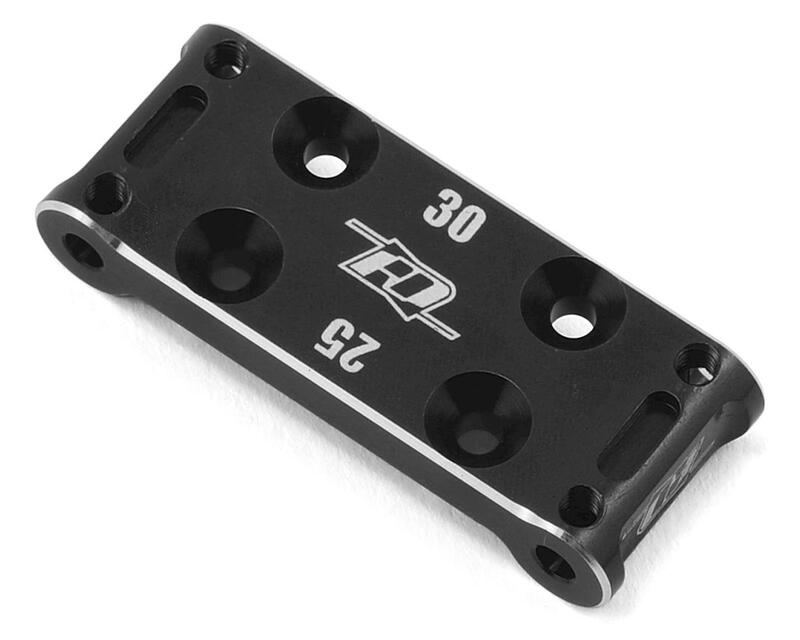 The part fits both the B6 and B6D and it is available in black or blue anodizing. Stock AE plastic bulkhead without set screws = 4.2g. AE steel hindge pin brace = 2.2g. RDRP0292 bulkhead without set screws = 8.4g. A hinge pin brace is still required when using the revolution bulkhead. 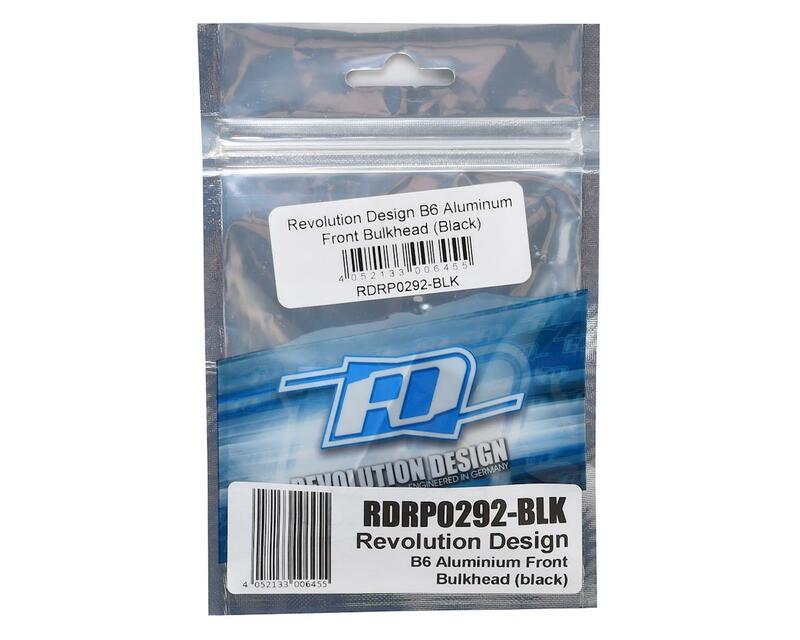 Revolution sells a carbon fiber hinge pin brace part # RDRP0292-CAR. I did not receive the 4 set screws with my bulkhead. Bulkhead fitment looks good.